For the most part, the search for the Cleveland Browns’ next head coach remains a mystery. We know very little about GM John Dorsey’s plans beyond various names tossed around in the rumor mill. What we do know, though, is there’s a candidate out there who isn’t shy about vocalizing his desire to be considered for the gig. Bruce Arians, who was Cleveland’s offensive coordinator in 2001-03, has noted on multiple occasions he would only come out of retirement to coach the Browns. It’s a job he’s wanted for a long time now, and many fans hope Dorsey ends up hiring him. I can’t say I feel the same way. While Arians is a talented coach, he brings with him concerns I have trouble looking past. Don’t get me wrong, considering how many years we’ve seen big name coaches avoid Cleveland like the plague, it’s refreshing to hear someone of Arians’ caliber express his desire to coach this team. Considering the fact the Browns finally appear to be on the upswing, there’s certainly no better time for him to get this chance. Despite all of this, I struggle getting on board with considering Arians a serious candidate. Though my apprehensions have been noted by others, it’s important to note why these need to be considered by those clamoring for Arians to be the next Browns coach. The two biggest red flags with Arians are his age (66) and his health concerns. He’s two years removed from a season which included two separate emergency trips to the hospital, once during a bout with diverticulitis and another after he dealt with serious chest pains. That his health was one of the biggest reasons behind his decision to retire after last season only adds to the worries here. Despite this, Arians insists his family would support a move back to the sidelines in Cleveland. That said, there’s a notable difference between claiming you’re ready to handle the every-day stresses of coaching and actually doing so. What happens if the Browns move forward with Arians, only to watch him make the realization he’s not healthy enough to keep coaching? Suddenly, this franchise is back to where it is now, working with an interim coach while prepping to search for his replacement. It’s a worst-case scenario, sure, but you’re kidding yourself if you think it’s unrealistic. Even if Arians maintains a clean bill of health, the fact he’s approaching 70 years old guarantees the fact he wouldn’t be any sort of long-term coaching solution for the Browns. Dorsey’s goal with his next coaching hire is to bring in someone who’ll be around for a while, who can generate sustained success beyond his first contract. With Arians, how long will he realistically be in Cleveland, even if he’s winning consistently and staying healthy? Three years? Four? While this is (sadly) longer than most Browns coaches remain in the picture, routine coaching changes is one of the reasons Cleveland has been unable to maintain any success since returning to the league in 1999. Hiring Arians certainly implies the Browns are three to four years away from another change, and that’s if they’re lucky. The only way I could see a hiring of Arians work out is if the goal is to eventually hand the reins over to Freddie Kitchens. 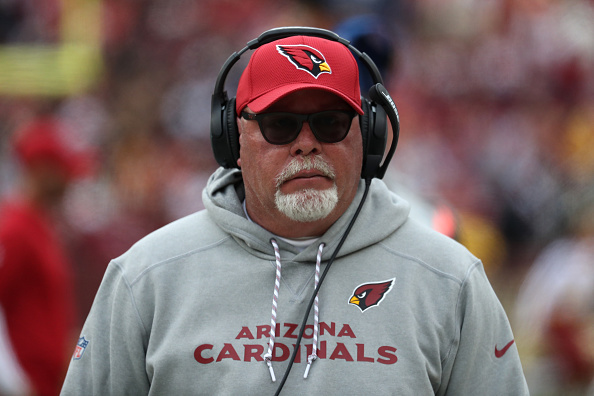 Arians has already noted he’d keep Cleveland’s offensive coordinator on his staff if he became the Browns head coach, as the two have worked together with the Arizona Cardinals. Kitchens has Cleveland’s offense looking better than ever since taking over play-calling duties, and has generated a strong rapport with the players. As a result, the idea of having Arians groom him isn’t out of the realm of possibility. This, of course, involves a significant leap of faith when it comes to the idea of Kitchens being the eventual successor. Dorsey also can’t make his hire based on who will help maintain the status quo. While the team does look improved, a fear of change can’t be the driving force behind the GM’s next move. The bottom line remains that Cleveland needs a long-term solution at coach. Unless he defies logic, Arians won’t be that. As a result, I wouldn’t put him high on the list of coaching candidates.